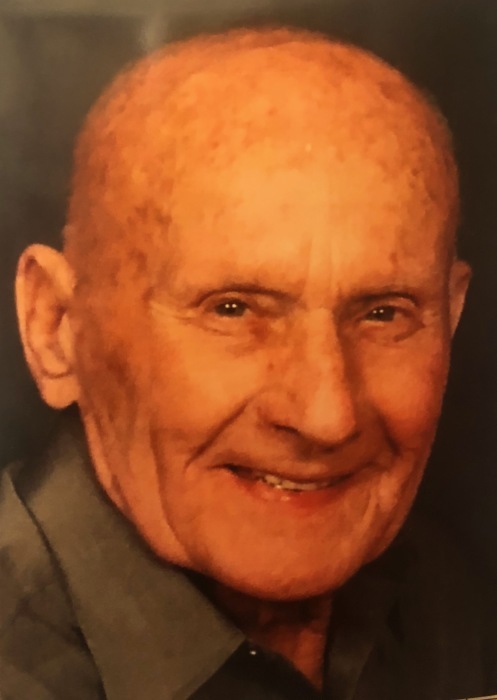 Billie Gene (Bill) Mirick, 92, of Fort Worth formally of Lorena, passed away Wednesday, September 12, 2018 at home surrounded by family. Funeral services will be at 11:00 a.m., Monday, September 17, 2018 at Waco Memorial Park Mausoleum Chapel with Reverend Wayne Blackshear officiating, visitation will begin one hour to service in the Mausoleum Chapel, interment will follow at Waco Memorial Park. Bill was born December 08, 1925 to the late Eugene and Annie Mirick. He attended Lorena High School where he excelled in football and basketball. He proudly served his country during World War II as a member of the United States Merchant Marines serving on the ship, SS Marina Roskova. He was honorably discharged June 20, 1945. Upon returning from serving his country, he worked alongside his father for the Katy Railroad. He then worked for Owens Illinois Glass in Waco. Bill and his wife owned Hewitt Grocery and Mirick Trenching Company. One of Bill’s greatest pleasures was dove hunting with his brother-in-law, Billy Blanton. He also enjoyed bass fishing a Lake Whitney and deer hunting in Johnson City. One of his favorite hobbies was working in his woodshop making different items for family and friends. He also raised Brahman cattle which he sold for show stock. Bill fell in love and married Jean Blanton, February 28, 1945. They had three children, Mike, Pat and Carolyn. He is survived by his wife, Jean Blanton; children, Mike and wife, Gayle Mirick, Pat and husband, Lynn Parnell, and Carolyn Kelly; grandchildren, Michael Mirick, Jr., Kristine Stephens, Tammy Graham, Jennifer Fitzgearld, Kevin Parnell and eleven great-grandchildren. In lieu of flowers, donations may be made to Cook Children’s Health Foundation, www.cookchildrenspromise.org or call 682-885-4105. Mention Mr. Mirick’s name. Donations may also be made to your favorite charity.